Frogglez Goggles are a complete redesign of traditional swim goggles. Testing over the last few years by real kids has proven that Frogglez Goggles are a hit. Parents consistently asked me where they could get a pair (their kids bugged them to get some as well). Please explore our website, watch a few videos and check back for fun updates and additions! 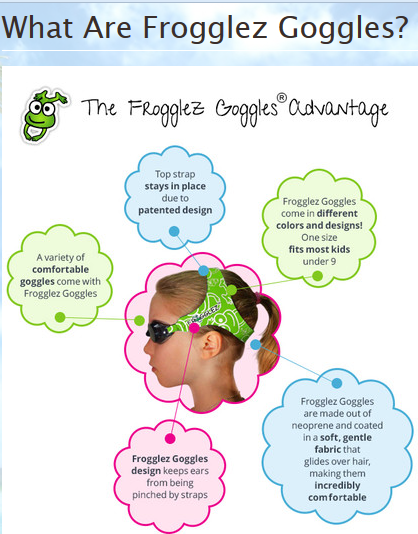 100% SATISFACTION GUARANTEE Protected by a utility PATENT, Frogglez Goggles were specifically designed to fit recreational swimmers from 3 to 8 years of age, effectively eliminating the hassles associated with traditional swim goggles. 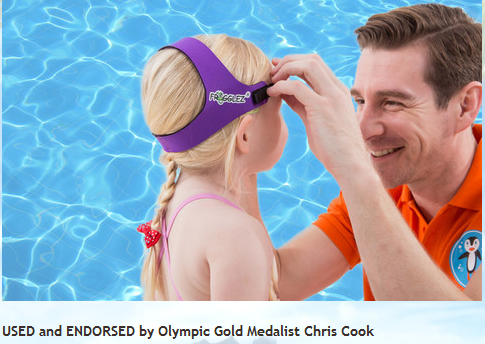 Designed by a parent who was frustrated with regular swim goggles, Frogglez are quickly becoming the first choice for swim instructors and parents all around the world. Soft, stretchy elastic straps similar to a wetsuit material glide over hair and secure leak resistant goggles without folding over ears or sliding down the back of the head. Custom fit design - the first time you use Frogglez Goggles, stretch the strap all around and then place on the head - the advanced strap design then molds itself to the head and becomes incredibly comfortable. Frogglez Goggles add an element of style never seen in swim goggles before. 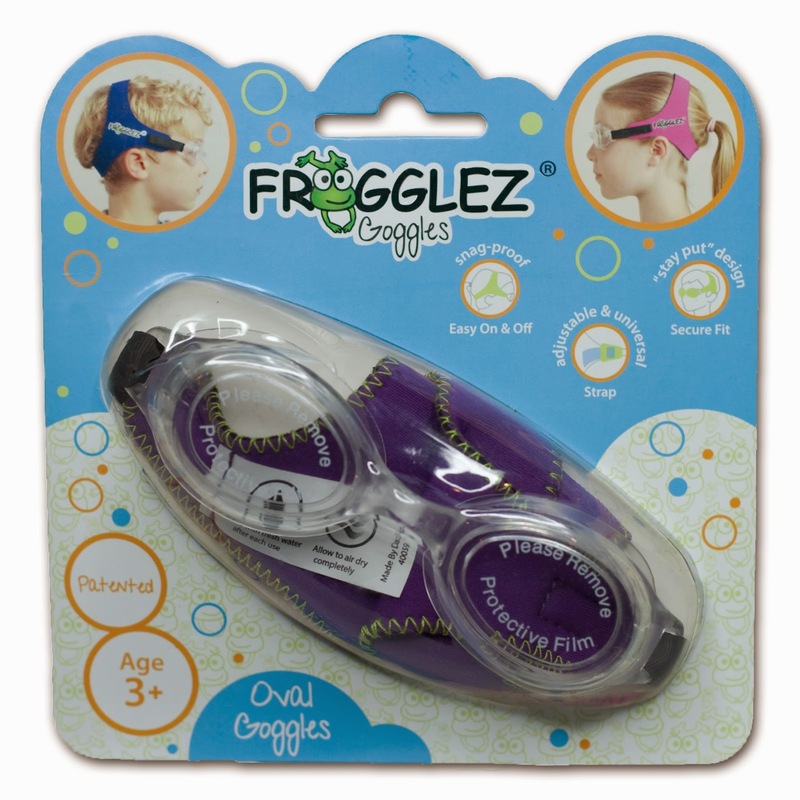 Exciting colors and designs make Frogglez Goggles not only easier to use, but fun! 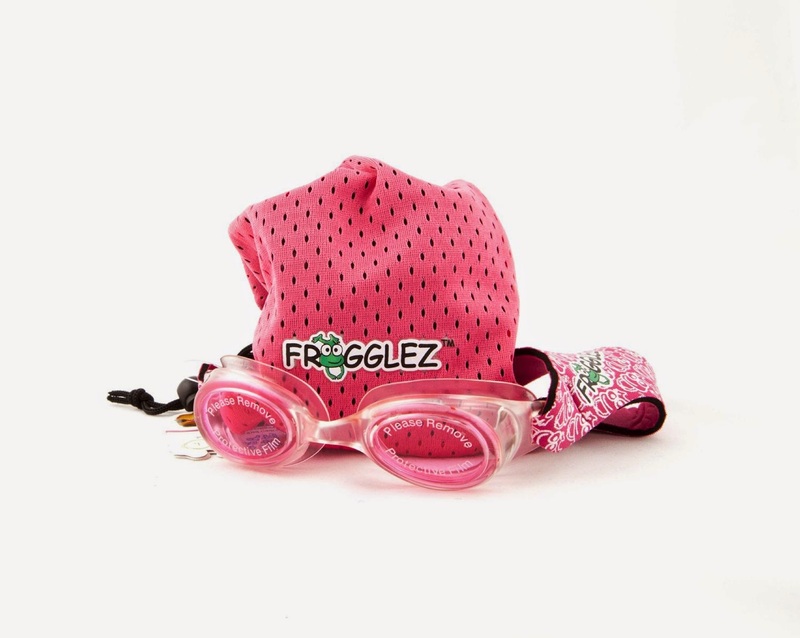 SIZE: Frogglez Goggles fits kids ages 3-8 (we call them medium) New to Frogglez swim goggles? One size fits most kids from 3-8 years of age. Hard to believe? We have a 100% SATISFACTION GUARANTEE and you can return them if you have any issues! IMPORTANT NOTE: The elastic strap is designed to adapt to most head sizes but will initially need to be stretched for a few seconds all around to adapt to larger heads. Use your hands to stretch 2 inches at a time all around including the side straps before trying on. This will ensure a comfortable fit! I was so happy to get to try these Comfortable Swim Goggles for kids. The 3 yr old will be swimming in a few months and these are just perfect for her, they fit her head nicely and she keeps them on and feels comfortable going under the water with them on in the bath tub! Normally she pulls the old goggles off right away. I cannot wait to have her swim with these on in the pool. I am very happy with the quality of these froggles and I love how they do not slip off or pull the hair. It is so nice that you can put them on most any goggles as well. The colors are cute for kids and I know they will enjoy wearing goggles while swimming. These would make a great gift and a must have for anyone who has kids or grand kids. I recommend Frogglez. You have some great reviews!